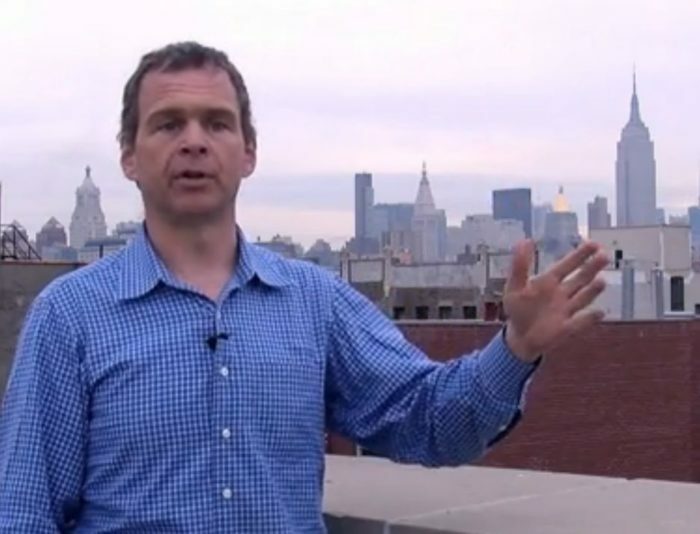 Henry Gifford designs energy-efficient heating, cooling, and ventilation systems in New York City. Gifford lost his suit. Yet even those who doubt the usefulness of Gifford’s litigious tactics usually admit that he has a point: many LEED-certified buildings use so much energy that they don’t even meet Energy Star standards. Due in part to Gifford’s needling, the USGBC has implemented changes in the LEED program that attempt to address some of Gifford’s concerns. Gifford knows more about boilers and heating system design than almost any mechanical engineer in the country. I recently reached him by telephone for a one-hour interview. Q. What recommendations do you have for the design of heating or ventilating systems for single-family homes? Henry Gifford: A nice successful person, who society rewards with a three-bedroom house in the suburbs, usually gets a master suite with its own bathroom. Usually, the house has a duct system that blows 400 cfm of heating and cooling air into the bedroom all day. The air comes out the bedroom door, down the hallway past the thermostat, back into the central return near the kitchen, through the air handler and back around again. At night, guess what happens? Somebody closes the bedroom door. Now the air pressure in the bedroom goes up, so now only 300 cfm gets delivered to the bedroom. Maybe 100 cfm goes through the bathroom exhaust duct through the bathroom fan. Don’t worry that the fan is off — the fan in the furnace is plenty big enough to handle the flow. Maybe 100 cfm is pushed out of the house through the cracks around the windows, leaving 100 cfm to squeeze through the crack under the bedroom door. Then, an hour or two later, people wake up and fiddle with the thermostat. The air that gets pushed out the bedroom windows and the exhaust fan duct gets replaced by new air pulled in around the sliding glass door in the living room, or maybe from the garage. If my explanation sounds oversimplified, don’t forget to add that the supply ductwork is probably leaking into an attic that is vented to outdoors. Q. So the typical forced-air system is a disaster. What should we do instead? Henry Gifford: Move heat to and from each room with pipes containing water or refrigerant, with valves controlling the flow to each room. Put in an ERV for ventilation. Q. Why choose an ERV instead of an HRV? Henry Gifford: HRVs need drains, and drains are problematic. When you install an HRV, you have to include the cost of the drain. The drain needs to be indirect, with a gap. If there’s a P-trap, the trap can dry out. You can get mold in the drain pans, because of the water. You end up with a biology experiment in the drain pan. I’ve never used an HRV — it makes no sense to me. The ERV should be ducted to supply fresh air to the bedrooms. The bedroom register should go on the wall, and it should be directed to skim across the ceiling. The register should not be near the bed. You need to look at the blueprint, guess where the bed will be, and locate the ventilation elsewhere in the room. You pull the exhaust air from the bathrooms and the kitchen — but not real near the stove. The fresh air goes from the place where the person spends the most time to the place they spend the least time. It goes from cleanest room to the dirtiest, and from the driest room to the wettest, and then out. I like to put the outside intake and exhaust ports relatively near each other, on the same face of the building, to minimize the effect of wind. The best place for the outdoor air intake is near a second-floor window, so a person can lean out the window and clean the air intake screen. It’s less dusty to pull air from a location that is off the ground. Henry Gifford: I generally do cooling with ductless minisplits. Sometimes I include a flat air handler that you can hide above a closet. Unless somebody wears big hats to church, you don’t use the top 12 inches of your closet anyway. For better access to the air handler, skip the ceiling and leave it exposed. As buildings get to be better insulated and have better glass — and hopefully in the future more shaded glass — cooling loads are dropping, while humidity loads are not dropping. In the humid South I would design a separate dehumidification system with one or two ducts leading far away from the dehumidifier intake, as a way to circulate dryer air from one end of the house to the other. An effective dehumidification system could completely remove the need for mechanical cooling, making real the dream of living without air conditioning. This of course would only be suitable in a strip about one or two thousand miles wide in North America. Even a dehumidifier that raises the indoor temperature makes people feel cooler. Decreased humidity can cause a wider variety of people to all be comfortable at the same condition, whereas when humidity is higher, people fight over the thermostat. With a dehumidifier, even the in-laws will be comfortable. For some years now, improved dehumidifiers have been available with a built-in ERV-type exchanger, like the Therma-Stor Santa Fe. Therma-Stor will soon come out with a cooling dehumidifier which rejects heat outdoors — a unit that mostly dehumidifies, with a little cooling — that will be a suitable replacement for cooling systems in most any energy-efficient home. I’ve done some pretty in-depth research into the coincidence of cooling and dehumidification loads. In New York City, the worst periods we have occur in spring and fall, at night, when we have a dehumidification load associated with ventilation but no cooling load. In the humid South, there are weeks and weeks when they have a high dehumidification load but no cooling load. The charts are scarier than one’s intuition might lead you to think. Remember, sensible cooling loads decrease with better insulation and shading. That means that there are many hours when you simply can’t cool, because the house will get too cool. This is already a problem now, and as buildings get better, it’s only going to get worse. That’s why many homes need a separate dehumidification system controlled by a dehumidistat. Q. If you used ductless minisplits for cooling, do you worry about even distribution? Henry Gifford: If you have a McMansion with high cooling loads, you should put an indoor unit in almost every room. But if you have a very well insulated house with good windows and exterior shading and some dehumidification, as appropriate, you can get away with a smaller number of indoor units — certainly fewer than one per room. If the cooling loads are very low, and you have a dehumidifier, the dehumidification is spreading throughout the house. The dehumidification isn’t spreading by vapor diffusion, but by moving air currents which tend to level out the humidity. If you have a dehumidifier in one corner of the basement of a school, it will eventually dry out the whole basement. You’ll get circulation from the fan on the dehumidifier, as well as convection driven by the heat given off by the dehumidifier. It’s the air circulation which does the job. Q. What type of heating system do you recommend for a single-family home? Henry Gifford: If you don’t have a thermostat in every room, you are not in the game. You should add or remove heat by moving water or refrigerant only, not by moving air around. I like a sealed-combustion boiler that makes hot water for space heat and (using an indirect tank) domestic hot water. I have also designed buildings with air-source heat pumps that do heating in addition to cooling, but if you are burning fossil fuel to make domestic hot water, why not use it for heat? As long as there is a combustion appliance heating water for the faucets, we might as well get the advantages of also using it for heat: no air blowing on people in the winter, and lower energy use — because my measurements show that the claimed COPs of air-source heat pumps are greatly exaggerated. Actual COPs are low enough that when you consider the amount of fuel burned by the power company, you are using less fossil fuel if you burn it directly. Hot water heat is very easy to control with a thermostat in every room, including bathrooms. I’m also scared of everyone around the country heating their house with a ductless minisplit, because then the utilities will have a winter peak problem. The summer peak can get reduced by PV panels, but a nighttime winter peak will never be reduced by solar. I love radiant floors, but I got away from them years ago because the heat output required for a modern house is so small — and it continues to get smaller over the years, while the thermal mass of the floor has not — that they respond ever more slowly over time, to the point where it can take days to warm up or cool down a house. I know of more than one house where the radiant floor has been simply abandoned in favor of radiators. Q. Recently, some critics of the Passivhaus standard say that the standard is inappropriate for cold climates, because it requires envelope specifications that aren’t cost-effective. What’s your take on this controversy? Henry Gifford: The envelope isn’t cost-effective when you only consider payback on an energy basis. But the essence of the Passivhaus standard is that you save money because of the avoided cost of installing a heating system separate from the ventilation system, and those savings pay for the last half of the envelope improvements. The standard is great because it gets us just to but not beyond the critical point where we can avoid the cost of the separate heating system. Q. I’m confused. Didn’t you just explain that your designs have separate ventilation and heating systems? Henry Gifford: No one I know of — including me — has had the courage to design a building that way yet, but it’s not the fault of the Passivhaus standard. Q. Why are so many mechanical engineers bad at sizing pumps? Henry Gifford: I disagree with your assumption. They don’t size pumps — they simply guess. Q. Why they are lazy? Henry Gifford: They have become lazy after years of being asked to cut their prices and being told, “We are giving you the architectural drawings this afternoon — can we have the mechanical drawings by the end of the week?” If they decide they will take more time, someone else will bid a lower price and get the work. Q. In most schools, the ventilation system is basically a black box that the custodian doesn’t understand. Some schools are underventilated, while other schools are overventilated. What do you think of Marc Rosenbaum’s solution of installing an individual residential-size HRV or ERV in each classroom? Henry Gifford: I agree with Marc more than Marc agrees with himself. I agree with him completely, and I’ll take it a little further. It’s better to put two house-sized ERVs in each classroom: one on a motion sensor and one on a clock timer. From 6 a.m. on, it’s good to introduce a little ventilation air before the kids come in. This approach saves the cost of the fire dampers through demising assemblies. It avoids the fire hazard of smoke going through the ventilation system from one part of the building to another. It avoids the fan energy use associated with moving the air long distances, or moving the air to somewhere it isn’t needed. It avoids the need for a digital control system in the building. It avoids the need for the ventilation system to be connected to the fire alarm system. Q. Is the LEED program getting any better? Henry Gifford: No. Years ago, they promised to require energy measurement and verification, but there is nothing to verify with LEED. It became a requirement that every building, starting in 2010, is required to send actual utility billing data to USGBC so the USGBC can do a study. They promised in 2008 that the results would verify the results of the NBI study. They also promised to make public the energy use of all LEED buildings. However, they still keep secret the energy use of each LEED building. Instead of releasing the data for individual buildings, they will combine all the data together and release that number after an “appropriate analysis methodology.” The data hasn’t been released yet. Q. If you were invited by the dean of an architecture school to make recommendations for changes to the architecture school curriculum, what would you recommend? Henry Gifford: I would require every student to spend a summer being paid to work on a construction site, with the hazard of not meeting a course requirement if the student gets fired. They would have to produce work of value that someone is willing to pay for. Not just one summer — let’s say every summer. One experience they would gain: they would be horrified to see how much of the building is designed by someone holding a saw or holding a phone connected to a material supplier. They would run horrified back to school in September and add many more details to their drawings. And when they get back to school, they should be required to design a building in a studio class in conjunction with an engineering student from their school or a neighboring school, to force collaboration, which starts with the difficult task of choosing someone appropriate. Henry Gifford: With Chris Benedict, I’ve been working on two 24-family Passivhaus apartment buildings that we expect to be the first Passivhaus-certified apartment buildings in the country. The contractors have bid them for the same cost of construction as normal code-minimum junk. Both buildings are holes in the ground now. They are at 803 Knickerbocker Avenue and 442 Melrose Avenue in Brooklyn. Q. Are there any new approaches to heating and ventilation that excite you? Henry Gifford: Everything we need to design and build buildings that use a fraction of the energy of buildings commonly built today is already there in the building supply store. What we lack are people who know how to design buildings this way. New equipment is not the answer. The new cooling dehumidifiers are great, but we could still have done the same thing with the equipment we had 20 years ago. Henry Gifford is a mechanical system designer at Gifford Fuel Saving Inc. and a partner at Chris Benedict, R. A.
Henry Gifford:"The standard is great because it gets us just to but not beyond the critical point where we can avoid the cost of the separate heating system." "No one I know of — including me — has had the courage to design a building that way yet, but it’s not the fault of the Passivhaus standard." I don’t think I’ll buy the argument of cooling homes with dehumidifiers only in the South and Southwest, and maybe some data would be helpful. You can lower temperatures 6-8°F by removing humidity, but that’s far from 2-3 summer months of +100°F day and +90°F night temperatures. I would like to hear more about mr Gifford measurements on mini split heating COP . Tim,my canadian friend, last time i visited your website i was wondering exactly what you just confirmed ... "are they using only the 2KW inline heater for the hole house??? " so the current PH stadard is great step forward, but is not good for every climate and situation. 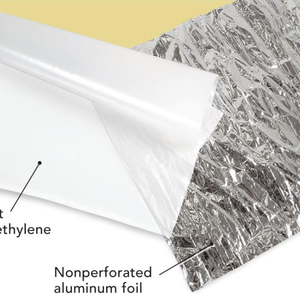 but in the near future, new technologies might render what we are using now for windows and insulation ..obsolete and or ineffective ..thus planning for 100yeasr with current high costs materials is not really smart. I was intrigued by Tim Naugler's comment, and so I called him up for more information. The fresh air output from the HRV is equipped with a 2,000-watt electric-resistance heating element. The house measures 1,900 sq. ft. and has two occupants. While the ASHRAE 62.2 ventilation rate for this house is 34 cfm, it is being ventilated at twice the ASHRAE rate (70 cfm). The electric-resistance element modulates to limit the temperature of the ventilation air to no more than 95°F. The design heat load of the house is only 1.2 kW (4,106 Btu/h). nice numbers, but why 70cfm Tim ?? Usually, unless u are using high indoor polluants , one can get out with lower numbers than 62.2 nah? I had the same question. It's generally hard to heat a cold-climate house by raising the temperature of the ventilation air if you stick with the ASHRAE 62.2 ventilation rate. I wrote about this problem in a blog I published in April 2011: "A designer striving to deliver all space heat through ventilation ducts actually has a perverse incentive to overventilate the house, since an increase in the ventilation air flow rate may be the only way to deliver enough heat to keep the occupants comfortable. Clearly, overventilation is undesirable, because it incurs an energy penalty." The occupants use a lower CFM setting some of the time but they generally keep it on the middle setting approx 70cfm, they find it gives them the air quality that they want. Jin we are posting daily heating consumption data on the website http://www.nauglerhouse.com/daily-data.html we just started this the last month. The PHPP model put's us at about $100 a year and we believe we are on target. You can find the Interior and Exterior Min Max temperature, weather conditions, as well as a daily KWH reading on the heater. we averaged around $0.54 a day for January. These are the CFM settings that we started the project with. after spending some time in the house the Occupants find the lower setting too low and found the house felt a bit stuffy in the morning. They found no temperature discomfort or heating trouble with the lower or higher setting, We do plan to bump the lower setting up a little in order to tune the system to their wishes. Yes Jin please feel free to use the pre heat design, it is a very simple version (and we need to publish some more information on it) . I know you can buy such unit's but we decided to try to make our own for a little less. We are finding it amazingly effective and will be specifying it for all future builds. Even when it's -25C the air going into the HRV is above 0C , and yes it does provide some great de humidification of the summer air when it get's humid. we found it was dropping the the incoming air temp about 8C in the summer a huge help! I just saw the heating data on your website right before reading your entry ..looks good!! What are you using to recirculate the geo loop for the HRV intake ? If u are using liquid and pump, how much power is the pump using? Grundfos alpha is the name of the pump. is pumping 4Gpm and using 43 watts. pretty low consumption. we have it on a temperature switch so it will come on and off as necessary. it's called The Naugler House because it's a home that i have built for my parents, and a demonstration / test home for our company. is this system going to be used to cool down the summer temp also ? Don't forget to read the comments before you ask more questions. Tim already answered your latest question. Tim wrote, "Yes, it does provide some great dehumidification of the summer air when it gets humid. We found it was dropping the the incoming air temp about 8°C in the summer." Oh ouch. I had read it, but got distracted by clients and forgot about it. My bad. Tim: if it works in cold and hot, what did you use for its control?? U mentioned temperature switch?? Maybe a switch with high and low starting points ?? I'm curious: why did you put that geo-loop "pre-heater/warmer" before the HRV and not after? Doesn't that just reduce the delta-T and therefore also reduce heat transfer from the stale air to the fresh air? Wouldn't it be better to place it after the HRV on the fresh supply, but before the Thermolec? Perhaps the geoloop temperatures are too low to make this beneficial except for winter months? Great article. Thanks Martin. I was wondering what Henry and others would think if LEED adopted the Passive House Standard for its energy efficiency points requirements? This would be a potential benefit to both certification systems: LEED gets the fix on its weakest link and Passive House gains the USGBC marketing machine and the materials toxicity issues that it currently lacks here in the US. The Passive House Institute (http://passivehouse.com) and the global PH community have already discussed this and agreed that it would be a great idea. Thus if the HRV has already done its job on the incoming air, the geo will not do much. Q. "I was wondering what Henry and others would think if LEED adopted the Passive House Standard for its energy efficiency points requirements?" A. I'd be interested in Henry's take on this suggestion. Here's my take: the best way to prove that a building has low energy bills is to report the actual utility bills paid by the owner after a year of operation. The Passivhaus standard has too many quirks to be a useful design method across all of the climates of North America. In addition to its main quirk -- requiring the same energy use goal per square meter in Minnesota as in San Francisco -- the standard has a second quirk: it does not allow designers to get any credit for an on-site photovoltaic array (even though it allows the designer to get credit for an on-site solar thermal system). To Armando’s question of no air conditioning in Texas, I lived in Texas for a year, and don’t think it should be included in my 2,000 mile wide strip of North America, which of course extends into Canada. But my vagueness is intended to inspire people as to what is possible now or in the future. Living with a cooling dehumidifier in Texas might be possible with aggressive shading on the windows. Add in some really good glass, and the Texas sun isn’t so overwhelming any more. To Jim’s question of COP measurements, a developer I know wants to change the Federal law that says low income apartment buildings are required to charge really low rents if they have “electric” heat, a category that includes both electric resistance heat and heat pumps. In other words, no incentive to use a heat pump and connect the thermostat to the tenant’s bill. We installed both electric resistance heating and a heat pump in a room over his garage, and a timer that switches between the two every 24 hours. Much monitoring later, and we can compare the electricity use between the systems at any outdoor temperature, and simply divide one by the other to know the COP of the heat pump at any outdoor temp. I won’t reveal our data, but the numbers are really disappointing. And back when amazing claims about ground source heat pumps came out, I bought a $6,000 ultrasonic clamp-on device to measure water flow in a pipe, and also measured electricity use and water temperatures, and measured COP for some systems – COP numbers were truly horrible. Nothing publishing quality on the waterside, but we are thinking about publishing our airsource numbers. The use of parents as experimental subjects is a great idea, which I will keep in mind, as I don’t have any graduate students around. Naugler’s ventilation air temperature is well below the PassivHaus limit of 50C, set at that limit to prevent pyrolysis of dust in the air, which makes sense to me. In other words, they could turn it up significantly and still be a PassivHaus. Nobody wrote in to complain about using electric resistance heat, but if anyone does, I think of Marc Rosenbaum’s question about why spend $15,000 on a heating system that will only deliver $100 worth of heat per year. My answer is “so it doesn’t deliver $1,200 worth of heat per year.” Electric resistance heat, despite its high primary energy ratio, solves both problems: it is a $500 heating system that can be relied on to only deliver $100 worth of heat per year. To Gio’s question of where in the ventilation airstream to best locate the geo coil, the answer to this question can depend on climate, and is especially complicated in a mixed climate, and is one of the places where modeling can be useful. But an easy way to look at it is like the easy way to answer a question in math class about the odds of something happening – calculating the odds of that something not happening. Likewise, for your very cold climate, think of the sequence of equipment which results in the lowest wintertime exhaust ventilation air temperature, which means the system is grabbing the most “free” heat possible. In this case, ignoring the electric heater for a moment, the combination that results in the lowest wintertime exhaust ventilation air temperature is with the geo coil downstream of the ERV. Then the electric coil should, of course, go downstream of everything else, so it “sees” the highest incoming air temperature. Geo Coil / Rad location and design. We had a higher power consumption during our December billing than we expected, We believe a large portion of it was that we did not have our temperatures for the Geo control's set quite right so the unit was not circulating when it should have been and the electric pre-heater was kicking on inside the HRV. it's proving a very cost effective addition to our system. Henery / Martin. What are you feelings on this, do you do anything to prevent typical north american HRV/ERV's from going into a defrost or re-circulation mode? in our climate unit's can be in this defrost or recirc mode up to 1/3 of the time when it's cold. do you see this as a problem to be addressed in tight buildings? Parent's are great test subjects! especially when they are passionate about energy efficiency! we have learned alot and honed in on lot's of things we will do different/better/easier for next time. Some might call our house a little extreme, but we wanted to push the boundaries and see what was actually possible. and learn from the whole experience. and what worked for our climate! it's been a amazing experience!
" I like a sealed-combustion boiler that makes hot water for space heat and (using an indirect tank) domestic hot water." "Electric resistance heat, despite its high primary energy ratio, solves both problems: it is a $500 heating system that can be relied on to only deliver $100 worth of heat per year." If we are talking about a new energy efficient house that only needs $100 worth of heat per year, then electric heat is the obvious choice. Assuming gas at $0.50/therm, there is no gas-fired multi-zone boiler system available that will pay for itself (vs. electric resistance at $0.12/kwh) in that house. In addition to the first cost of the boiler and installation ($3000-$20,000), the gas service fee ($150/yr in Xcel territory) and tap costs ($3000-15,000) far outstrip the energy cost savings. Even with lousy actual COPs, heat pumps can make the case for electric heat even stronger. If I am to understand the article correctly, Henry advocates the use of sealed-combustion equipment with indirect hot water. Forgive me if I am providing a superfluous clarification; I believe he is talking about natural gas equipment and this should be applied to those residences with sufficient heat load (i.e., NOT low energy use homes). Now, how about us poor folks who live in the mountains of Maine where natural gas isn't available and perhaps the home isn't so low energy use (more like 32,000 BTU/HR, design load). Does he still advocate the use of sealed combustion equipment? In, perhaps, another point of clarification, "moving" heat with water or refrigerant; does he also advocate the use of chilled water as a heat transfer fluid? I would think that fan coils using chilled water (with all of the caveats regarding duct loss, "issues" that he previously discounted) provide a much more versatile means of moving heat; esp in regards to variable cooling/latent heat loads. Sealed combustion propane boilers appropriate to a 32K load are available and allows you to air-seal the house as much as you like without inserting backdrafting risk. Propane/oil combi HW/space-heating water heaters can work too. Sealed combustion removes the influence of any pressure differences between indoors/outdoors on the burner, and keeps the combustion products out of the indoor air. Micro-zoning with a thermostat in each room adds a LOT of hardware & expense to a heating system, and in the hydronic boiler case, requires higher thermal mass radiation (or a buffering thermal mass like a buffer tank or high mass hydraulic separator) to keep the boiler from short cycling itself into an early demise & low efficiency. In new construction spending the money on a higher performance building, to where point-source heating & cooling works can be a better overall value than on a gazillion -zoned hydronic fossil-burner. Hydronic heat delivery yes, but room by room zoning, probably not- there are rapidly diminishing returns on system efficiency with that route unless MOST of the house is kept at much lower temperature MOST of the time. Dana: Re "Hydronic heat delivery yes, but room by room zoning, probably not- there are rapidly diminishing returns on system efficiency with that route unless MOST of the house is kept at much lower temperature MOST of the time." So if a house in zone 8, w/ R50 walls, R85 lid, 10" of EPS under the slab, tight (hopefully) has about 4 zones that are "set and forget" at about 68 F, all should be OK, right? I can not see having thermos in every room, or even many rooms, as I can't imagine being able to keep one room much cooler than the adjacent one. Hydronic floor heat, propane mod/con boiler with HRV that drains into a bucket. My company, Thoughtful Dwellings, worked with Tim Naugler on the design and energy modelling end of the Naugler House project. The 70 cfm air flow for the HRV is what is recommended by the Passive House (PHPP) software. The PHPP recommends a minimum 0.3 ACH (based on usable floor area or TFA) to provide healthy air that doesn't overly dry the house. This 0.3 ACH is also used in our Canadian energy modelling software, HOT2000, as a minimum ventilation standard. I would much rather ere on the side of healthy indoor air quality than maximizing energy conservation. With an HRV efficiency of 92% this doesn't amount to much anyway. Issues of air and house dryness can be mediated through humidification, if necessary. In my experience a house without a forced air heating system can be much dryer and still feel comfortable. Much of the dryness that people complain of is from dry dust within the air being recirculated within the house. In the Naugler House the only air being circulated comes directly from outside. The Naugler House residents have so far not commented on the air in the house being too dry. 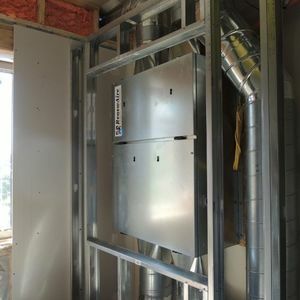 The PHPP gives a maximum heating load of 1204 watts (4109 Btu) for the Naugler House. The maximum deliverable heat, based on 120 m3/h (70 cfm) average air flow @ 52C (126F), is 1430 watts (4881 Btu). When we had the system apart we set the thermostat at maximum and measured air flow temperatures above 50C near the heater. With conduction losses through the metal ducts we will likely never see anything near this temperature coming out vents. The PHPP says we actually have enough heat to keep the house at 22.2C (72F) under worst case conditions in our weather region. The homeowners keep the thermostat set at 20C (68F) - sometimes lower at night. Congrats on the the project. I enjoyed the interview. Martin, thanks for bringing it to us. I’m also scared of everyone around the country heating their house with a ductless minisplit, because then the utilities will have a winter peak problem. The summer peak can get reduced by PV panels, but a nighttime winter peak will never be reduced by solar. Henry makes a fair point, it's an even greater concern for jurisdictions that are incorporating greater amounts of solar and wind into the grid, with the ultimate aim of eliminating the use of fossil fuels. This big PDF of "Electricity production from solar and wind in Germany in 2012" has some great charts that illustrate the point. That said since we have to go to zero carbon emissions sooner than most people realize then ultimately heating will have to be met by an electric heating system. So any building heated with gas will have to retrofit their heating system to electric, at some point in the near future. Kevin Anderson (wikipedia,bio) a professor at the Tyndall Centre for Climate Change makes it pretty clear that if we wait until 2020 to start to reduce CO2 emissions, we will have to eliminate CO2 emissions from energy by 2040 to stay under the 2 degree Celsius threshold agreed to at Copenhagen. Here's his presentation... Real clothes for the Emperor: Facing the challenges of climate change that explains the details. So to meet our commitments, we have to use heating systems dependent on electricity, because that's how energy from renewables will be delivered. But we also have to manage the wintertime peak load issue. (I live in Quebec where the wintertime peak load dwarfs summertime peak load) So we have to reduce heating demand drastically.... which means build to the Passive House standard. Any thoughts as to how we design and construct buildings so that we meet our climate change commitments with respect to emissions reductions? Given Mr. Gifford's choice of water/liquid as a distribution system and his preference for seal combustion appliances, I wonder why no one is discussing on-demand electric water heaters for home heating especially in applications with very low heat loads. On-demand water heaters are available in very small sizes, at reasonable prices. Maybe Mr. Gifford or others (like those involved with the Naugler house) would comment on why this would be a good or poor choice. Andrew makes the case that we should be considering electric for any new construction. If a house is well built and tight, with a small heating load I don't see why this wouldn't be the obvious choice especially in new construction. Very airtight homes that follow the current method of minimum airflow calculation in 62.2 will likely be unventilated. A natural infiltration value is assumed in the standard that is approximately 0.17 ACH, or 0.01 cfm/ft2 (might be a bit higher, can't quite recall off the top of my head). This would leave an ultra-airtight home, like a Passive House, dramatically undervented. If pollutant sources in the home were exceptionally low, this would be fine, but I doubt that is the case. Luckily, the PH standard requires more mechanical venting, and it does so for precisely this reason. 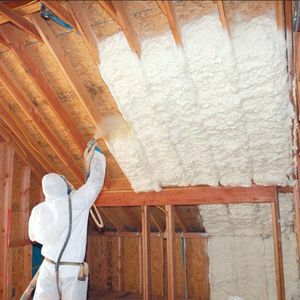 Luckily, there is a new calculation method in the latest 62.2 addendum that basically removes the infiltration credit and requires an appropriate airflow for ultra tight homes. I suggest users of this forum use this new equation, which I think is in Addendum N. Cheers. In the fall we had representatives from NB Power, our power producer in New Brunswick, visit the Naugler House. As they took the tour of the house they seemed quietly impressed by what they saw. As we went through the mechanical systems nothing changed until they saw the on demand hot water heater. They both seemed quite horrified that we would put an on-demand water heater in an energy efficient project like ours. The power authority is more concerned about peak loads than absolute efficiency or energy use. On-demand water heaters, if many are used simultaneously, are a nightmare from their perspective. Generation for peaks means costly generation that idles most of the time but is always ready for the unknown spike in demand. As we modernize our grid in New Brunswick we may get peak billing at the residential level. If this happens a well insulated tank with the ability to heat at non-peak times becomes a much more efficient and less costly option. This also considers the primary energy picture - as is promoted by the Passive House approach. In the Naugler House we have a solar domestic hot water system so the on-demand is just for top-up needs. This being said, and considering the information from the power authority, we will likely consider a small well insulated conventional tank on future projects. Martin asked: Q. "Why choose an ERV instead of an HRV?" Henry Gifford answered: "HRVs need drains, and drains are problematic. When you install an HRV, you have to include the cost of the drain. The drain needs to be indirect, with a gap. If there’s a P-trap, the trap can dry out. You can get mold in the drain pans, because of the water. You end up with a biology experiment in the drain pan. I’ve never used an HRV — it makes no sense to me." All of the reasons Henry cites to avoid HRVs are exactly why we never specified ERVs. Did the world flip? In the Life Breath Clean Air Furnaces we used we had the choice of built in HRV or ERV. We chose the HRV because they didn't require a drain. Was Henry quoted correctly? Thanks for your comments about how the power company views on-demand heaters. It's not something I'd considered. You live in New Mexico. I'm not surprised that HRVs don't need drains in New Mexico. In cold, humid climates, HRVs need drains -- at least most Venmar models do, because I verified the information by calling Venmar. In a dry climate like New Mexico, perhaps drains aren't necessary. Concerning ERVs, let's poll GBA readers. I know there are many brands of ERVs out there, so I'm asking: how many of them, if any, require drains? Please post your answers on this page. This ERV costs about $400, has no drain, and can satisfy ASHRAE 62.2 for an entire house. Q. " I wonder why no one is discussing on-demand electric water heaters for home heating especially in applications with very low heat loads". A. Because it is easier, cheaper, and equally efficient to put electric resistance heaters wherever you need them. A good bathroom unit, for example, costs the same as a kickspace fan coil, but wiring is cheaper than plumbing AND wiring. Although hot water loops make the best radiant floor systems, Henry considers them overkill (see above). I agree with just about all the answers in the article with the possible exception of the recommendation against radiant floor heating in one specific case. If you're using gas/oil/electricity to heat and there is no possibility that a solar thermal system will be added in the future, he's right, just use radiators which work fine (even better than high-mass floor heating) and cost a lot less. But solar thermal systems need to run at very low temperatures (down to 80 degrees F or less) for best efficiency and so won't put out enough heat using only radiators. So a low-mass (i.e., staple up or warmboard) radiant floor system is the right solution in that situation. IMHO a high mass (concrete/gypcrete) radiant floor design is only appropriate in the coldest climates and where passive solar makes up a substantial portion of input (which in turn also requires thick movable insulation and very disciplined and reliable occupants, requirements that are almost never met). For any other case, wall-mounted active collectors and low-mass radiant floor heating is a much better solution than putting lots of big holes (i.e. windows) in the building envelope and then just praying that heat input exceeds output.